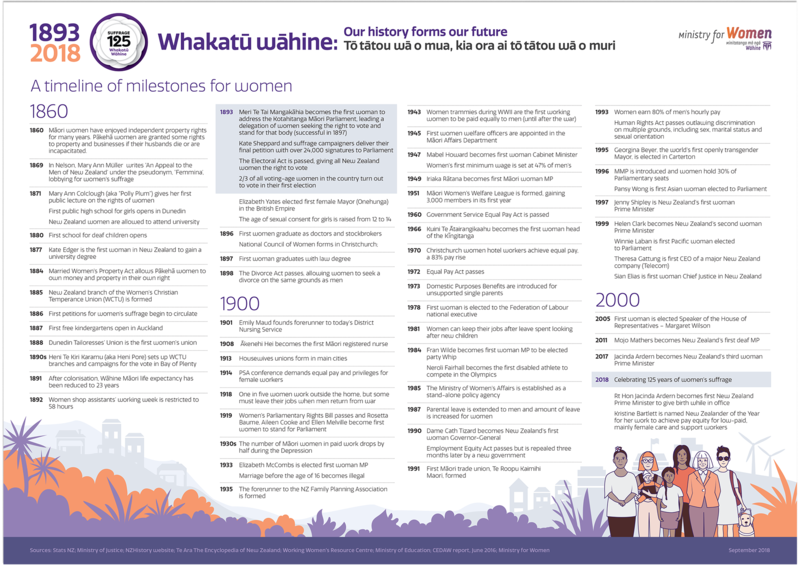 Created together with Marcus Thomas Design, this new infographic for the Ministry for Women celebrates the Suffrage 125 anniversary and asks, how far have we come? Working in close collaboration with MTD and the MFW to develop the concept, I created the graphic elements, bespoke icons and social media templates, and supported the design layout for this fascinating poster. 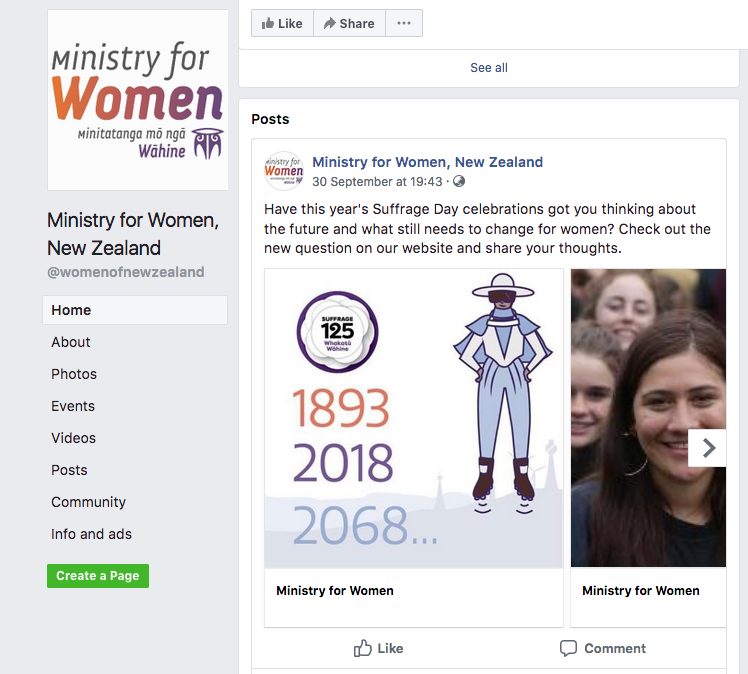 The Ministry for Women, Te Minitatanga mō ngā Wāhine, is the Government’s principal advisor on achieving better results for women, and wider New Zealand. 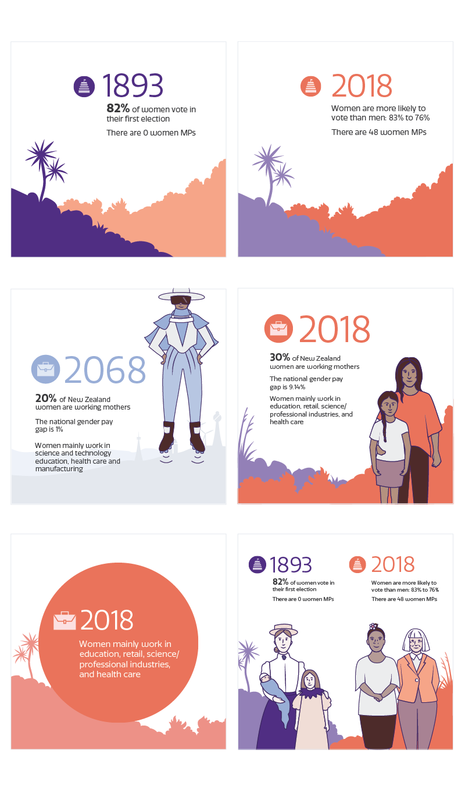 You can download a high-res version of the infographic from the MFW website, here. Social media templates, designed for the communication team at MFW to adapt and use for ongoing social media communication. 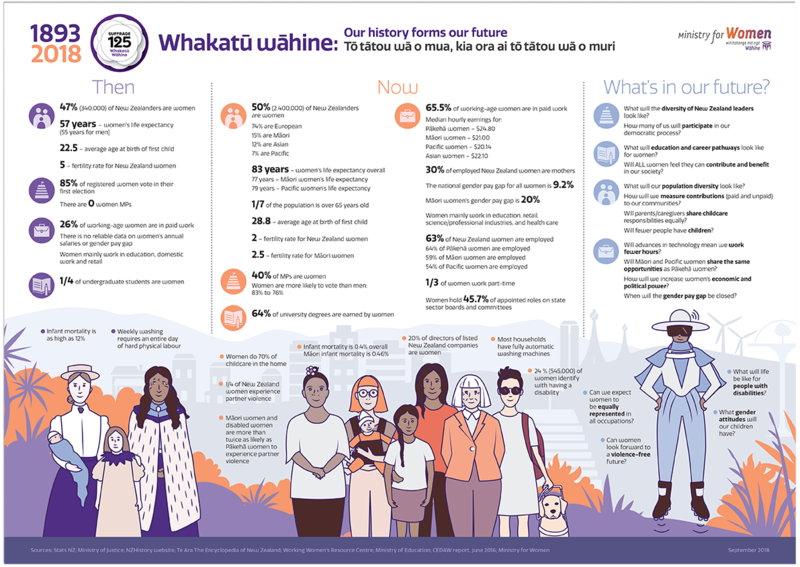 Simple and clear icons, designed for use in the infographic and for ongoing use by the communication team at the Ministry for Women.